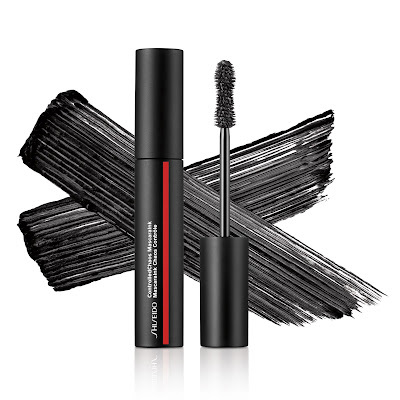 SHISEIDO presents its brand new CONTROLLEDCHAOS MascaraInk. Inspired by GINZA's iconic crossing the new CONTROLLEDCHAOS MascaraInk gives you bold, graphic colour and clean buildable volume. The latest addition to the INKS collection is a good balance between energy and serenity, excess and restraint, chaos and order with great precision and exceptional control. The CONTROLLEDCHAOS MascaraInk has memory flex bristles that maintain the integrity of the brush so that this way is stays strong throughout the mascara's entire lifespam. 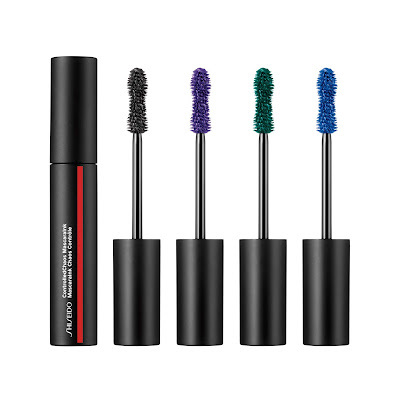 state after they pass through the wiper"
The mascara has an innovative brush design with two concave sides to boost volume and two flat sides to give you extra lash lift. 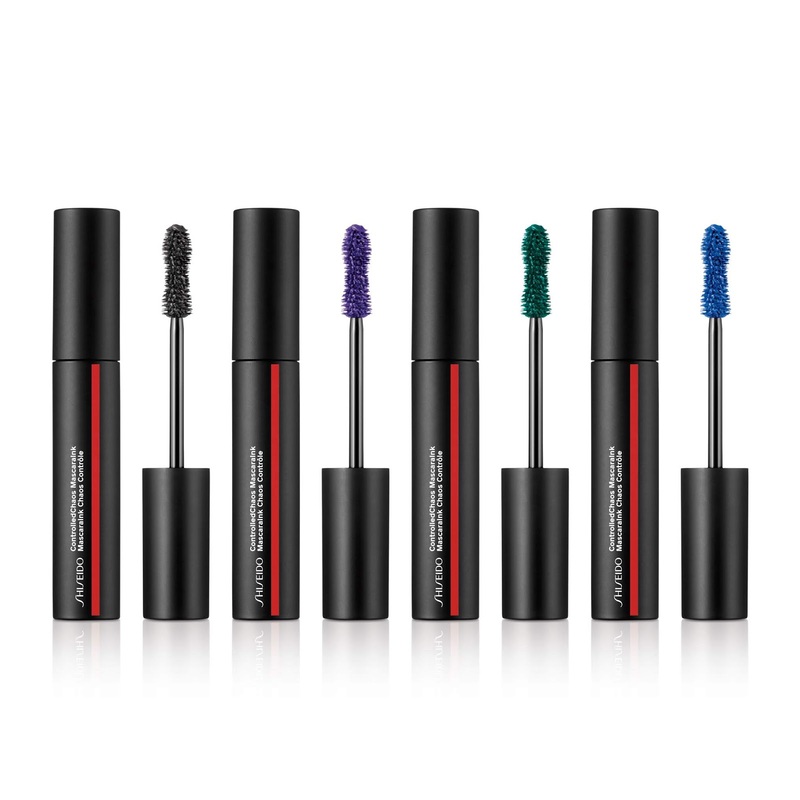 Available in four bright colour, high-impact shades the new CONTROLLEDCHAOS MascaraInk has a weightless formula that cointains a mix of hard and soft waxes to achieve the perfect balance between structure, flexibility and glide. Film formers and polymers set and seal the highly pigmented, smudg- , clump- and flake resistant formula to lashes for 24 hours. CONTROLLEDCHAOS MascaraInk is available in 01 Black Pulse, 02 Sapphire Spark, 03 Violet Vibe and 04 Emerald Energy. 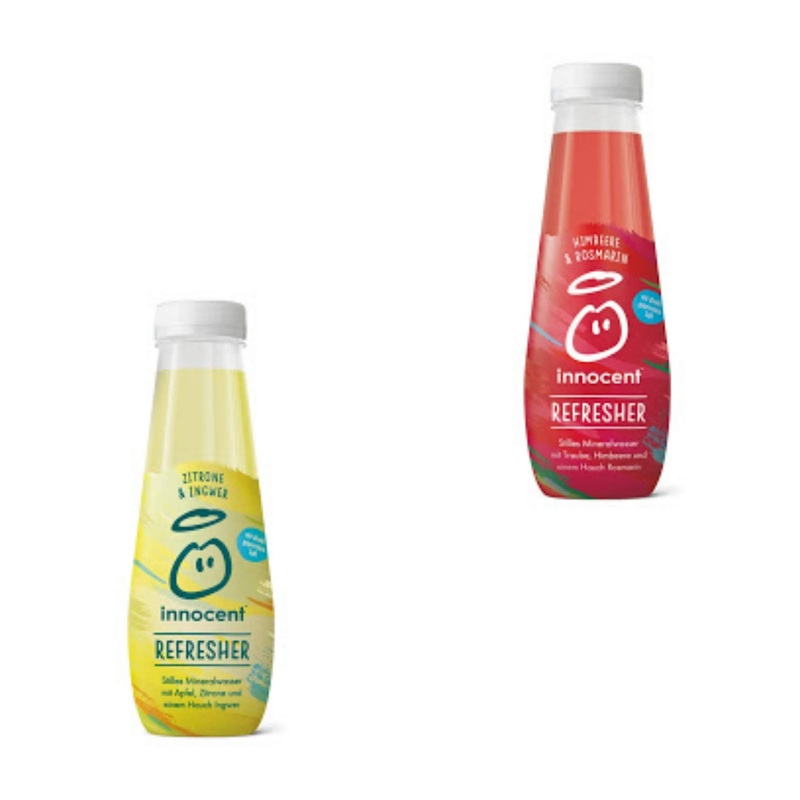 Innocent presents its new refreshing drinks: REFRESHER! The new most natural way to refresh yourself and quinch your thirst with still mineral water mixed with squeezed juice. Choose between the two flavours: Lemon & Ginger or Raspberries & Rosemary. To make a delicious, fruity soft drink made from natural ingredients that tastes great Innocent noticed that it's best to keep things simple. Therefore they have used only ingredients of natural origin to create this Innocent Refresher: natural mineral water, a splash of apple, lemon juice and a hint of ginger. Really refreshing. The Raspberries & Rosemary Refresher is blended with all-natural ingredients: still mineral water, a dash of grape and raspberry juice and a hint of rosemary without added sugar or other sweeteners. Refreshment you never knew before. 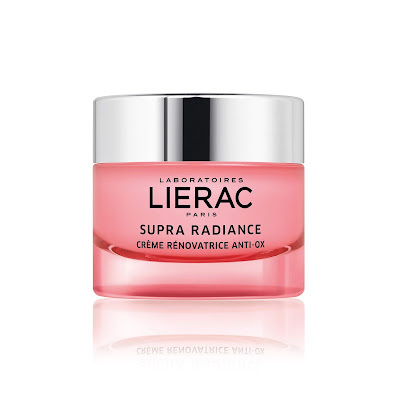 Laboratories LIERAC are launching their first anti-aging range which makes the skin radiant again with SUPRA RADIANCE. Inspired by the nutritional and environmental medicine reactivates radiance while also smoothing wrinklesand improving skin quality. Radiant skin is synonymous with youth and energy and a sign of health. Over the years, however, the skin is increasingly challenged: environmental influences such as UV rays, pollution and lifestyle in the form of an unbalanced diet, lack of sleep, stress and smoking can have a bad impact on our skin. All these factors lead to oxidative stress by free radicals and the result is an accumulation of toxins. 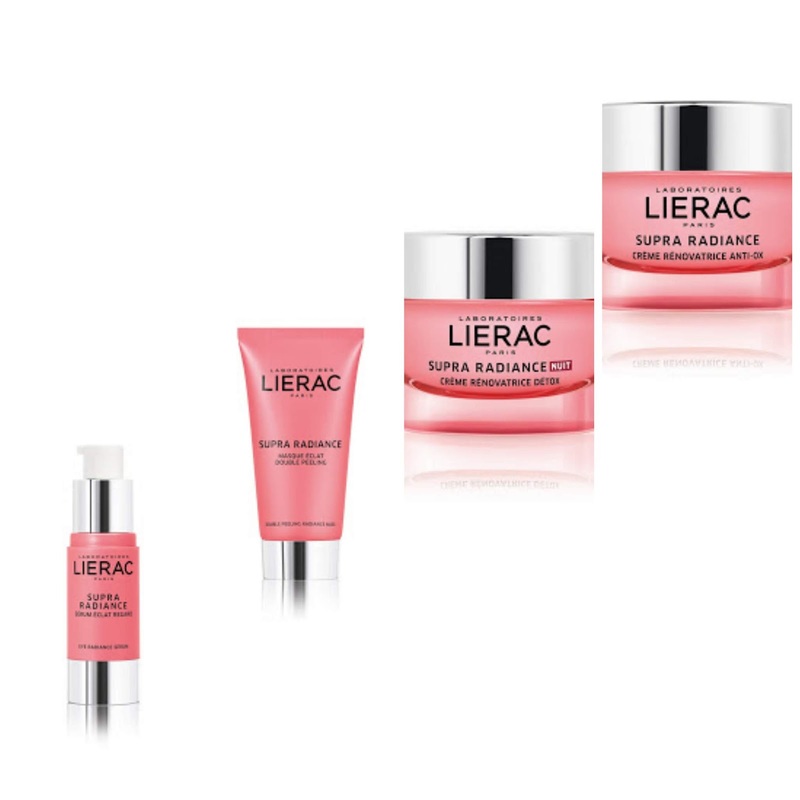 These damage our cells, the quality of the skin worsens and therefore the process of aging is accelerated: skin dries, loses elasticity and wrinkles are noticeable.The complexion appears pale and the eye area looks tired. For the first time, the Laboratoires transfer LIERAC the nutritional and environmental medicine on the dermo-cosmetics by giving the effect of mimic the proteins that normally combat toxin-induced skin aging. Absolutely unique in its effect is the NRF-2 protein; in this case the renewal of the skin quality is doubly effective: it ensures the cellular detoxification by removing the accumulated toxins and prevents their new formation. It also brings the energy balance of the cells back into balance. 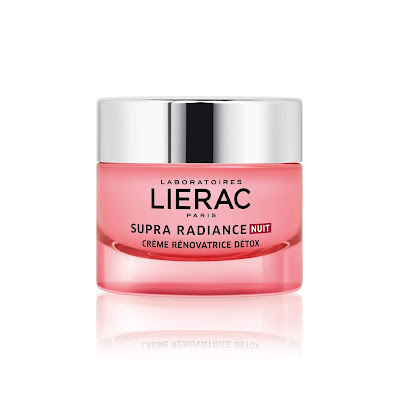 The Laboratoires LIERAC have created for SUPRA RADIANCE an Active Duo from White Horehoundand the exclusive Hyalu-3 concentrate, for a 4 in 1 effect: anti-wrinkle, detox, radiance and resilience. that immediately blur wrinkles and imperfections. sleeping creams combining freshness and comfort. 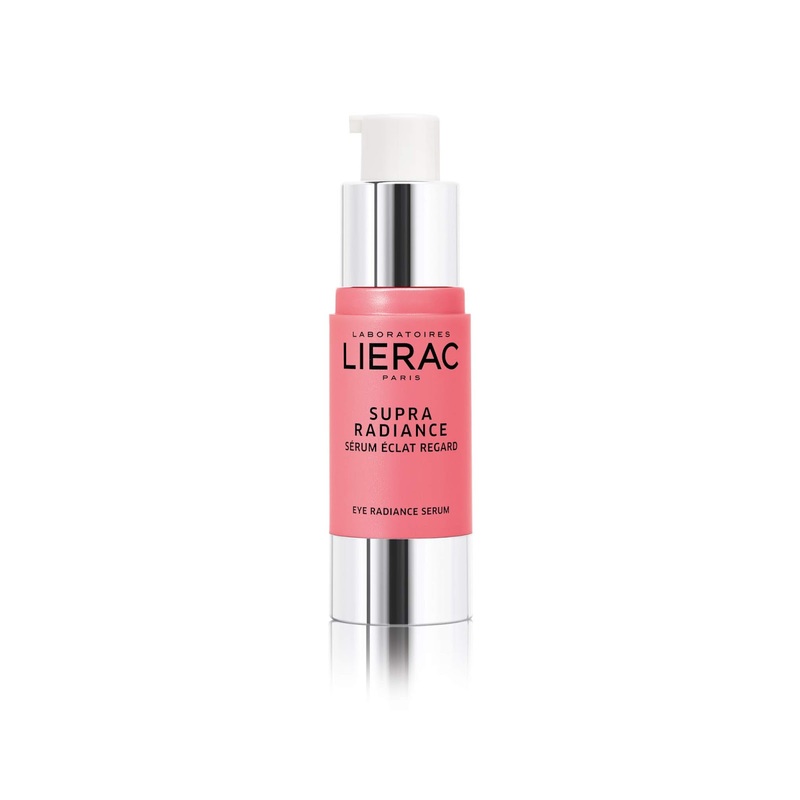 Helps detoxify and corrects wrinkles for renewed skin quality in the morning. reveals instant freshness that lasts as long as the mask is left on. for a smoother appearance and a perfect glow. reduce fatigue, smooth, and brighten the eyes. 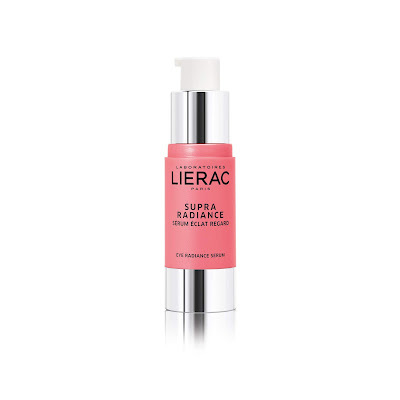 Corrects wrinkles and tones with a glowing effect. Anti-puffiness - Anti-dark circles effect. H&M celebrated its new Conscious Exclusive Collection with a launch party in L.A.
H&M celebrated its new Conscious Exclusive collection with a launch party in Los Angeles on March 27th. 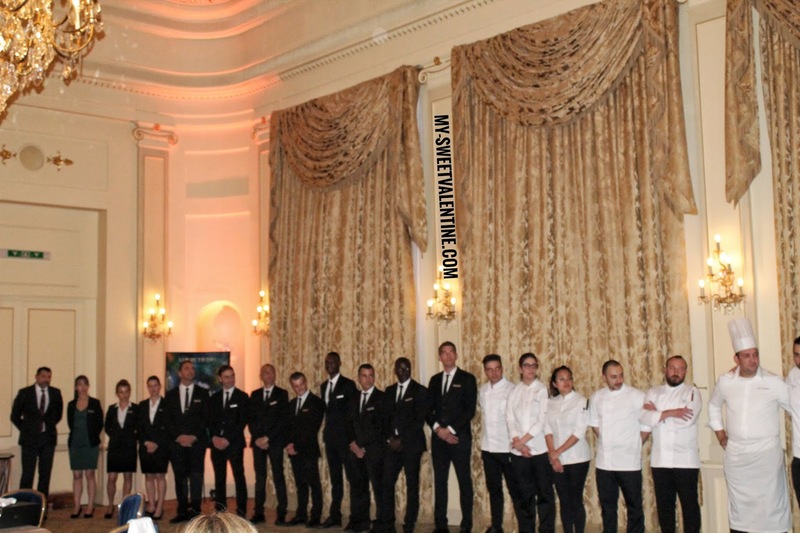 Celebrities, influencers and friends of the brand such as Irina Shayk, Dakota Fanning, Halima Aden and Amber Valletta joined the event. For Spring 2019, H&M Conscious Exclusive explores the healing power of nature, while also embracing innovation with sustainable materials and processes for a more sustainable fashion future. Launching on April 11th the collection will be available in selected stores worldwide and online at hm.com. “For this collection, we explored the beauty in nature, which shows in the prints, as well as the flowy silhouettes, the striking colour palette and the attention to detail. We’re thrilled to introduce new plant-based sustainable materials to create high-performing, beautiful and fashionable pieces that are statement-making yet so easy to wear". The Conscious Exclusive collection is a great balance between glamour and innovation and the pieces can be worn for any occasion. The collection takes ispiration by the natural beauty surrounding us and nature’s importance for our well-being. Minerals, trees and plants were translated by the design team into jacquards and flowing printed fabrics. The colour palette is a mix of lavender, sand, aqua blue, petrol blue and coral pink along with black, gold and silver. The thirteenth edition of S.Pellegrino Sapori Ticino took off this week in Geneva with a fantastic gala dinner at the Four Seasons Hotel des Bergues Geneva. 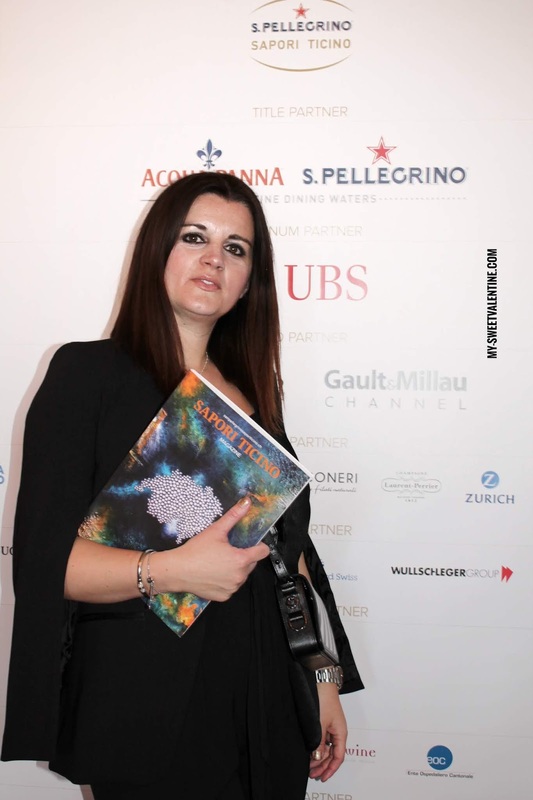 This year S. Pellegrino Sapori Ticino shines more than ever in the firmament of gastronomy, with an impressive number of Gault & Millau points and Michelin stars, demonstrating its strong culinary personality. After a world tour of international cuisines from different countries in 2018, this year the food and wine festival from Ticino, breaking records of fame and longevity in Europe, is preparing to set its table under the sign of Swiss haute cuisine . 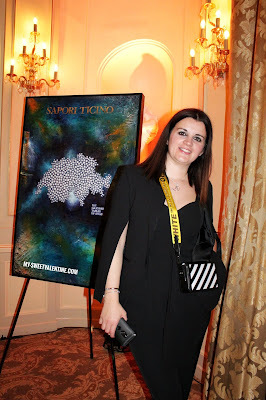 A sort of homecoming for an event that, from birth, has always been the mouthpiece of Ticino as a region of great tourist traditions and gastronomy and now wants to extend this concept to the whole nation. To follow the red line of national excellence, S.Pellegrino Sapori Ticino has chosen to collaborate with Les Grandes Tables de Suisse, the most prestigious Swiss chefs association, bringing together almost all the best restaurants in the country. 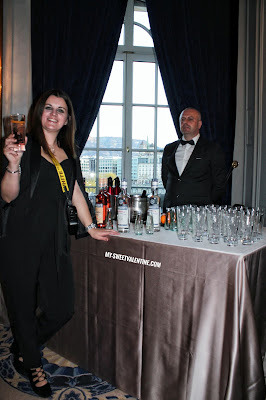 On April 8th, the kick-off has been given at the Four Seasons Hotel des Bergues in Geneva member of the Swiss Deluxe Hotels Group, masters of the service of excellence. For the night some of the best chefs in Ticino, took the most sunny and Mediterranean cuisine over the Gotthard. 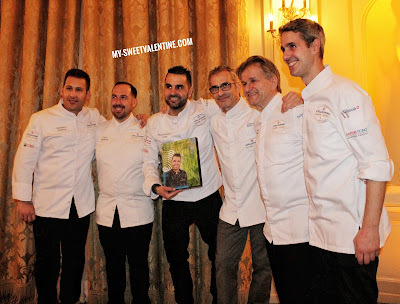 Lorenzo Albrici (Locanda Orico, Bellinzona, 16G & M - 1 * M), Luca Bellanca (Metamorphosis, Lugano), Dario Ranza and Cristian Moreschi (Villa Principe Leopoldo, Lugano, 17G & M) and Domenico Ruberto (I due Sud, Hotel Splendide Royal, Lugano ) have been the protagonists of the soirée de Genève, assisted by local chef Massimiliano Sena (15G & M - 1 * M). 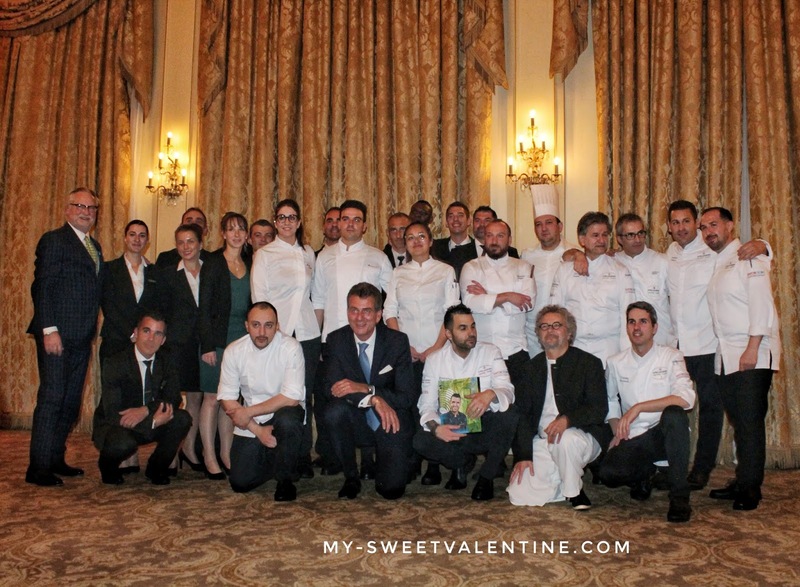 As for the last 13 editions, the dishes of the chefs are served with great wines of Ticino showing that that local wines pair well also with haute-cuisine gastronomy. The night was a great occasion to meet the new Executive Chef of Villa Principe Leopoldo Cristian Moreschi. Villa Principe Leopoldo in Lugano, is synonymous with excellence, quality and cordiality. 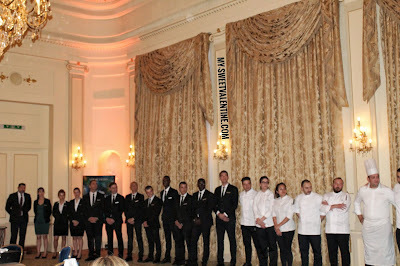 The 37 suites, the reception and the kitchen form for years a concept at a time unique and undeniable. 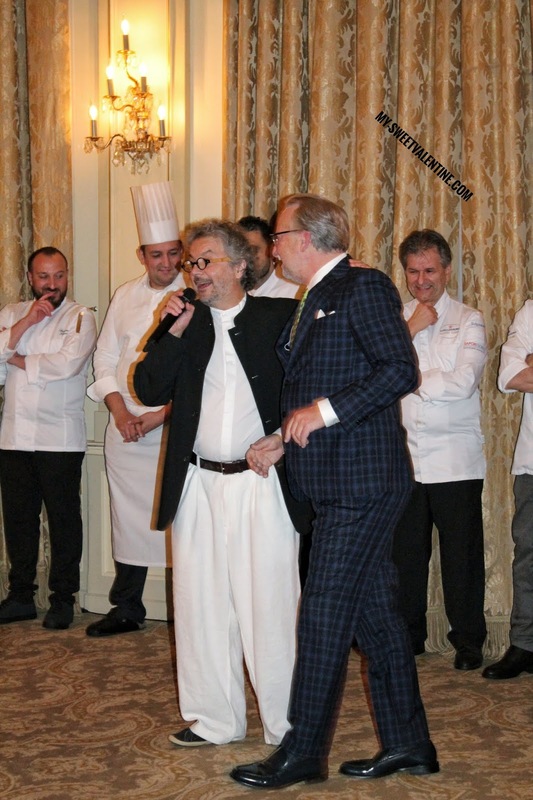 The year 2019 begins with a taste of spring and freshness: Dario Ranza (63) will pass the lead of his kitchen to Cristian Moreschi after 7 years of mentorship. 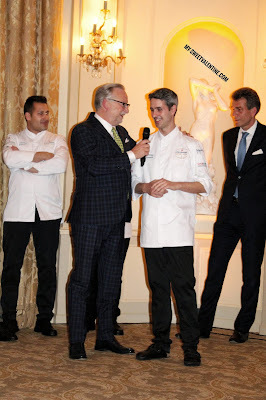 With over twenty years of experience in Italy and St. Moritz, Cristian Moreschi, in 2011 joined his history with that of Villa Principe Leopoldo. A destiny now sealed. Different rewards and the desire to always surpass themselves have allowed this enthusiastic professional to distinguish himself in all the stages that led him, today, to take the lead of a motivated and trained team to provide 5 stars quality. 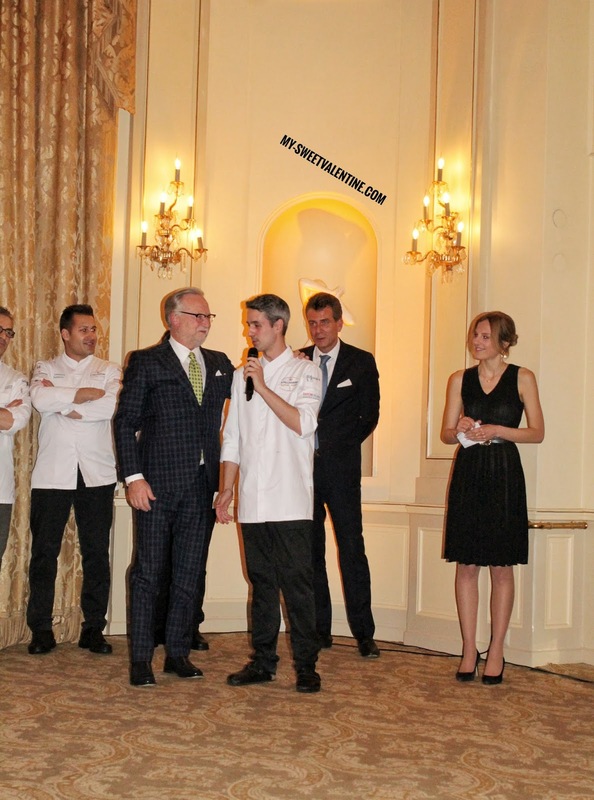 "Collaborating with Villa Principe Leopoldo has been a stimulating experience from the start. I am convinced that I will always be able to combine my gastronomic vision with that of Villa Principe Leopoldo. Leopoldo, among which the unconditional quest for quality stands as a true pillar. 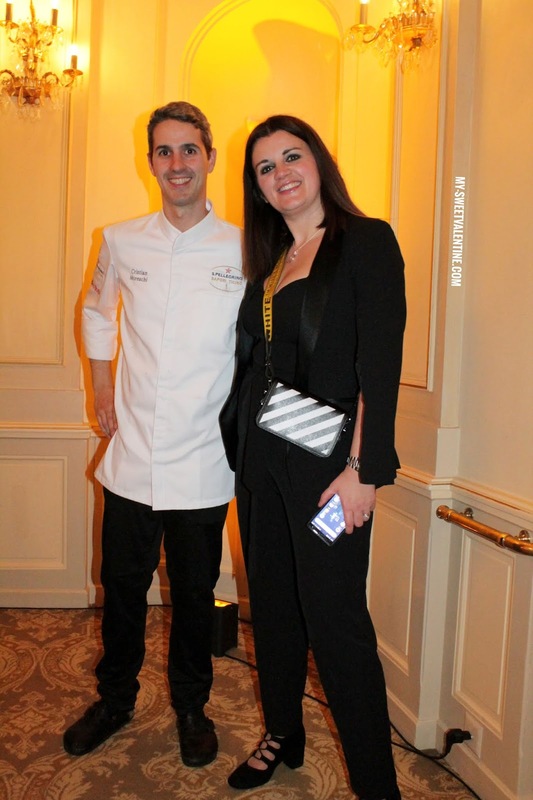 time, " says executive chef Cristian Moreschi. says Maurizio Migliardi, CEO of Ticino Hotels Group. "Villa Principe Leopoldo is one of the most precious jewels in our collection. has been holding on to its prestigious position ". 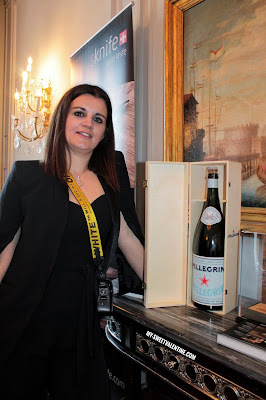 and S. Pellegrino Sapori Ticino for the great night! Ten years ago, Samsung launched the first Galaxy smartphone. A success story that SAMSUNG celebrated last week with the Samsung Galaxy Gig in the exclusive setting of the Komplex 457 in Zurich. The special night saw the musical highlights by Seven, Nemo and James Arthur all under one roof to celebrate ten years of Samsung Galaxy. Ten years after the launch of the first Galaxy S model, the new Samsung Galaxy S10 premium smartphone is now available in Switzerland. In four differen models, the new Galaxy meets high standards of display, camera and performance. The Galaxy S10 + convinces with state-of-the-art technology and top performance from the display through the camera to performance. The Galaxy S10e offers a compact and high-quality function package with a flat display. The Galaxy S10 combines the new Dynamic AMOLED display, a modern camera and intelligent performance features. The Galaxy S10 5G, available from summer 2019, will delight users who value extremely fast data transfer and performance. «The Galaxy S series has stood for innovation for 10 years and convinces with its versatility. Everyone will find a model that suits them, " says Dario Casari, Country Manager Samsung Switzerland. "We are delighted to be able to offer the continuation of this model series in Switzerland with the Galaxy S10." Let's face it everyday skin is esposed to environmental factors such as pollution and stress, which can have a huge impact on our skin. 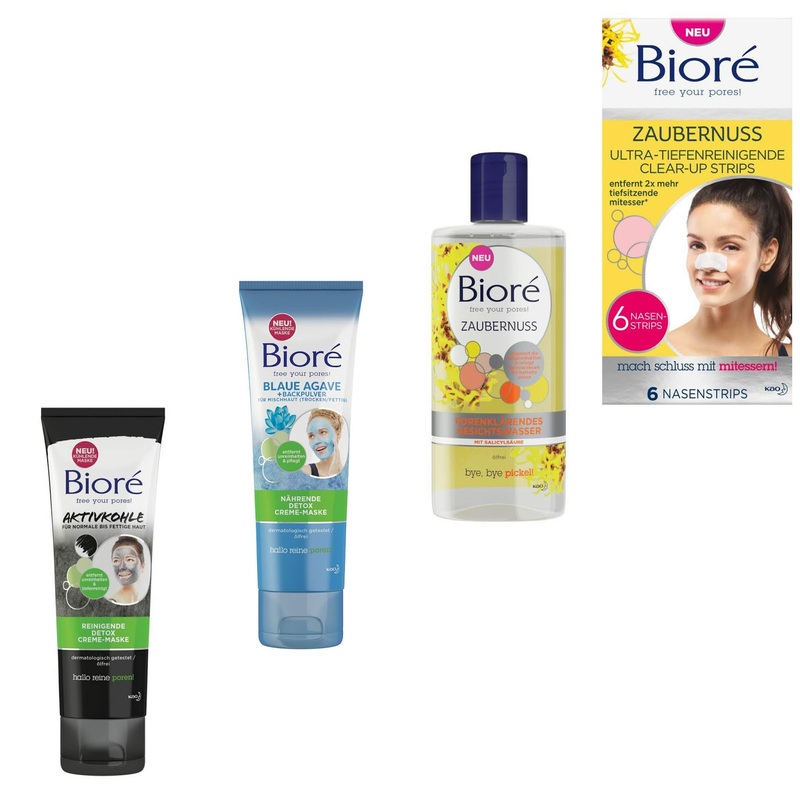 That is why is important to take care of our skin and to get rid of impurities, excess sebum and blackheads and the new Bioré products can really help us to do just that. To overcome the problems associated with oily skin (acne and redness), what you need, it is an effective product that will make your skin problems disappear in no time. 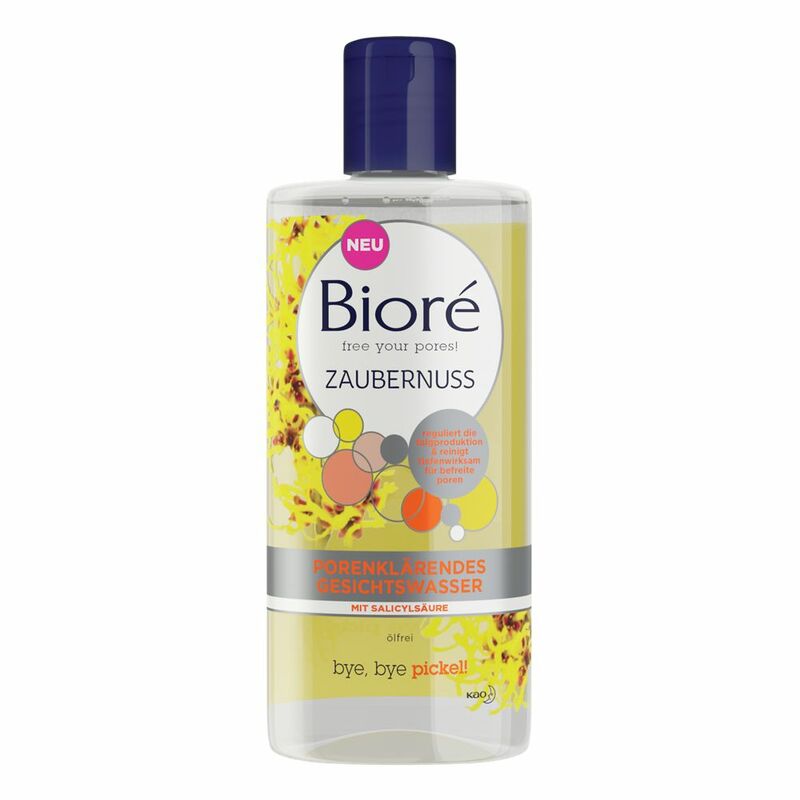 Bioré has the solution: the purifying cleansing lotion and the ultra-purifying patches with witch hazel cleanse the skin and eliminate clogged pores and unwanted shine. Thanks to the astringent properties of witch hazel, the lotion tightens the pores, regulates sebum production and eliminates the impurities caused by salicylic acid, while the ultra-purifying patches unclog pores. The result is amazing: witch hazel is known for its astringent and healing properties. The natural ingredient is extracted from the bark and leaves of witch hazel, known for its cleansing and firming effect and favoring the process of healing skin. Thus, skin problems, such as impurities and redness, are eliminated quickly, as if by magic. The Purifying Cleansing Lotion feels great on skin as its light, non-greasy formula provides a feeling of freshness and helps restore the natural balance of the skin. The formula with witch hazel and salicylic acid cleans pores deeply and gives a more even skin appearance. acts like a super magnet, eliminating 2 times more blackheads. 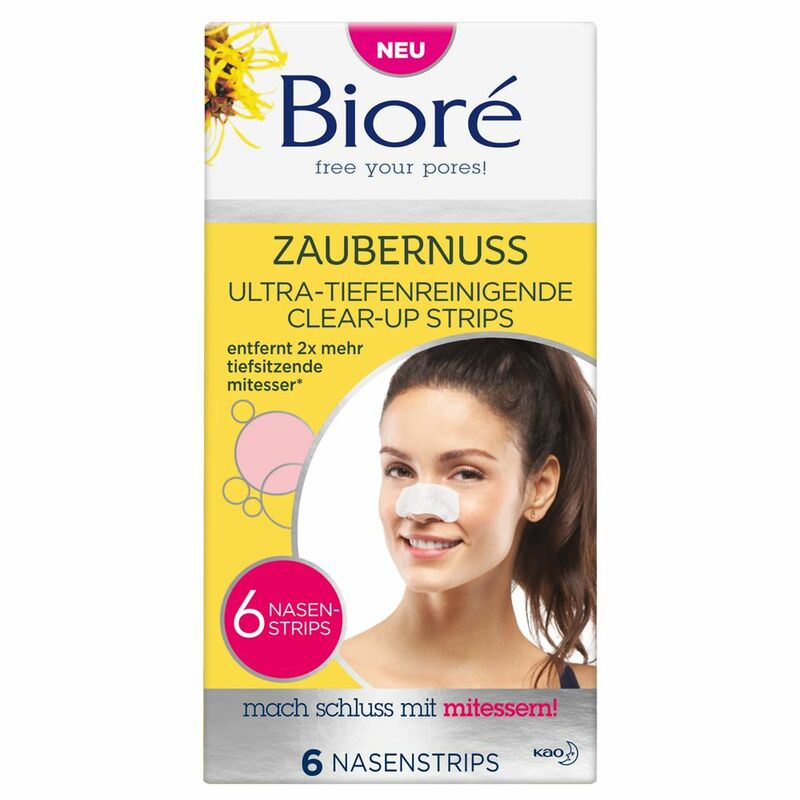 The patches are a great way to get rid of impurities, excess sebum and blackheads with just one application. 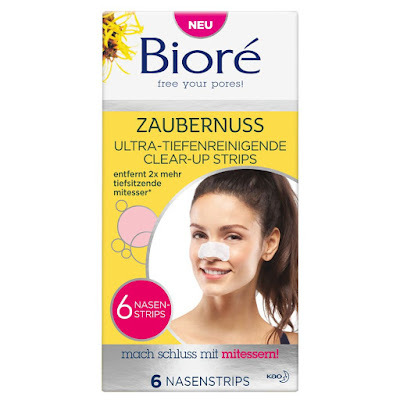 They tighten pores, refine skin while helping prevent future blackheads. Another way to give our complexion a boost and get skin like new is to use an effective detox mask at least once or twice a week. That's what the new Bioré detox masks offer. 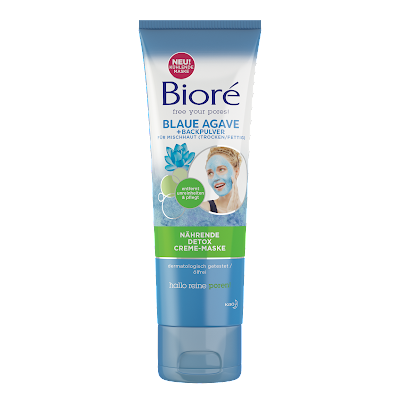 Thanks to the proven effectiveness of their new ingredients, blue agave and activated charcoal, the masks give you fresh sensation while deep cleansing your skin. 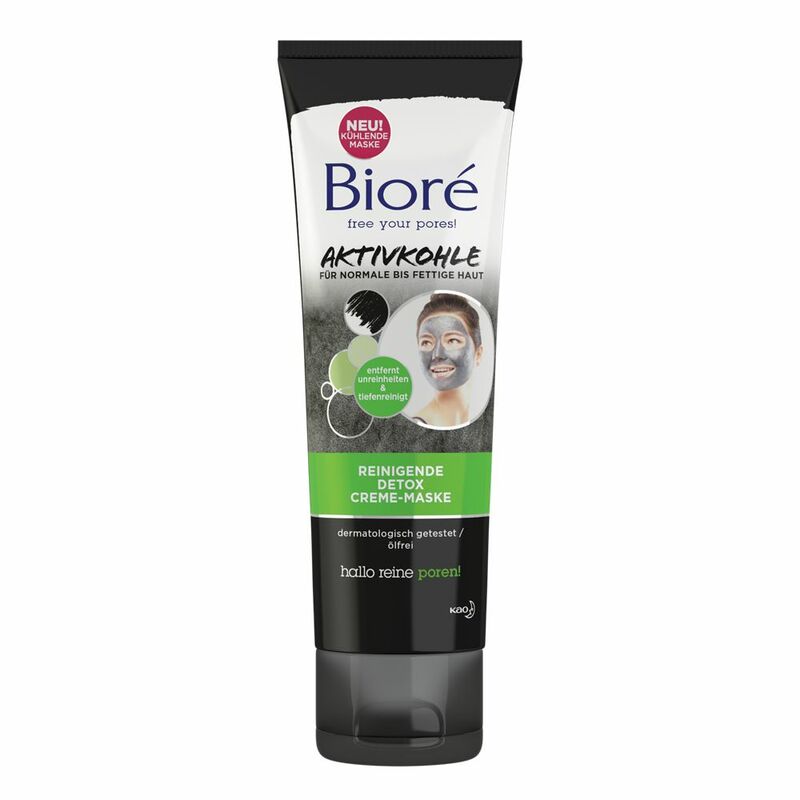 The Bioré Charcoal Mask is a great detox mask that with natural charcoal helps eliminates impurities while lifting away dirt and oil to unclog pores. Skin is left deeply cleaned, refreshed and also mattified. The Bioré Blue Agave Mask with Baking Soda is great not only to detox skin but also to de-stress. This creamy mask gives you cool, pore-tingly clean skin. 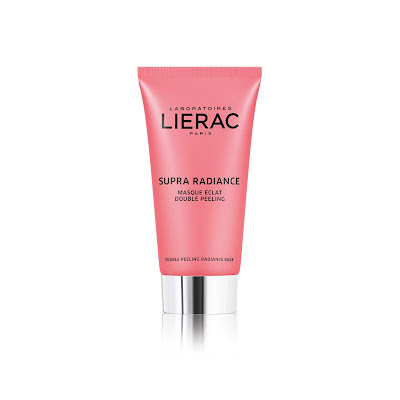 It eliminates impurities while also conditioning and soothing skin.